Kirsty Young interviews Professor Louise Richardson, political scientist and the first woman vice-chancellor of Oxford University. Kirsty Young's castaway is the political scientist and Vice-Chancellor of Oxford University Professor Louise Richardson. She was born in Ireland, is one of seven children and has gone on to have an international career as an academic with a particular expertise in terrorism. She has been consulted by many politicians for her knowledge and insight. After many years as a Harvard Professor, she came to Britain to be the first female Vice-Chancellor of St. Andrews University. 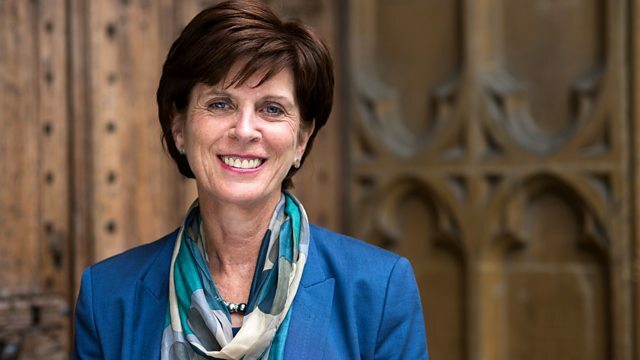 Since January 2016, she has been the Vice-Chancellor of Oxford University and is the first woman to hold the post. Annies Song and other Galway Favourites. Chess Original Broadway Cast Recording. Performer: Unione Musicisti di Roma. Les Miserables: The Original 1985 London Cast Recording.